Angels come in all sizes and shapes and colors, visible and invisible to the physical eye. Angels constantly grace our lives: in moments of need, fear, pain, confusion and sometimes just to loosen us up a little bit. They appear as friends, strangers, animals and magical encounters. 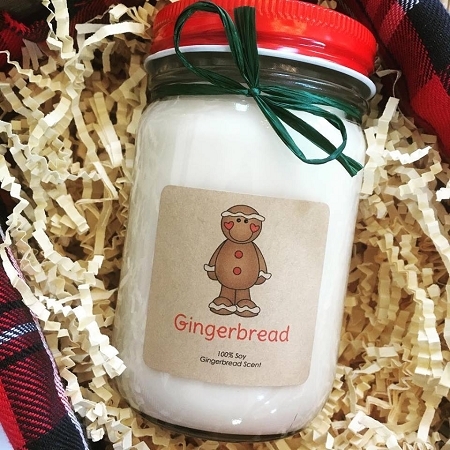 When I read this quote by Sophy Burnham, author of A Book of Angels , I knew I'd found the perfect quote for our angel blessings candle. 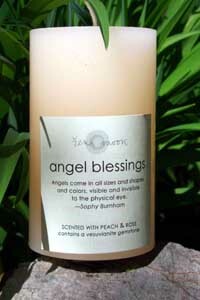 This candle was created to draw angelic energy into your life, as well as thank those who have been angels for you.